The late season may be depressing for some, but if you’ve got a high carb food source, you can certainly find the deer. Incredibly cold weather, snow storms and ice can be your best friend during the late season, and you don’t even need to get up early in the morning or stay out until dark to get your buck. The middle of the day has bucks on their feet when it’s incredibly cold and this could be the best time for you to get your wall-hanger. Over the last two years 25 percent of the bucks entered in the Boone and Crockett record book were killed between 10 a.m. and 4 p.m. While many of these deer were shot during the rut, many bucks move during the day when the weather is cold as well. 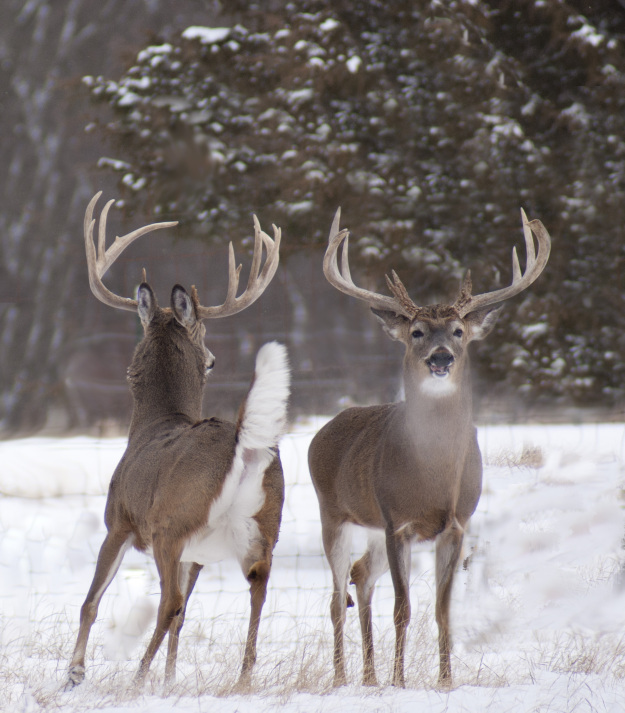 Bucks and deer move during the day when it’s warmer so that they do not have to brave the frigid evening temperatures and wind out in the middle of a field. The sun in the day is warmer in a field, hence, the eating commences. These deer need all the energy and fat that they can get, so they’ll eat as many high carb foods that they can get in their mouths. Some things to watch for for the best times to hunt during the day in the late season are cold snaps and bad, bad, weather. Deer hunker down during storms but as soon as they stop, within the day deer need to eat. They’ll go out and eat as much as possible so that they can stack up fat and energy. Cold weather snaps are also big time for hunters. If the temperature drops over 10 degrees in a 24 hour period, that’s a good time to hunt. Negative temperatures are good days to get out there since deer really need the energy to stay warm. Don’t give up yet, you may only have a little bit of time left, but if you have food or can find some on nearby public or public land bordering private and can get in a funnel, you’ll be on to the big bucks that made it through gun season. Read more big buck hunting tips and tactics on MorningMoss.